The sauce that I seek will be delicious, but not overpowering. Spicy, but not tongue scaldingly hot. For the most part, not too smokey or too sweet. I surely do Love The Hot Sauce, and I am always looking for those perfectly balanced additions to compliment delicious meals. As I try new sauces, and revisit old ones, I will let you know how they pair up with different foods. Please feel free to share your opinions, thoughts, and suggestions. I hope for all of us to benefit from this menu of hot sauces– including myself. 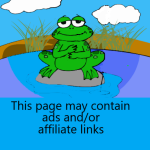 With this website I am going to share with you some wonderful spicy recipes. I will also suggest hot sauces you can use to add some heat to everyday dishes, and how to spice up mild recipes. We are often times preparing food for family and guests who may not always appreciate the heat levels of us hot pepper lovers. So, when those times arise, as they often do, you will have a full arsenal of tasty, fiery sauces that go great with each kind of meal. Since food and hot sauce go together, I will offer advice on products and techniques to make the best meals and sauces. For me, BBQ Grilling and Hot Sauce go hand in hand. So, I will regularly be touching on the subject of grilling and all things related to backyard fun. In addition, I intend to share with you all things related to chili peppers. 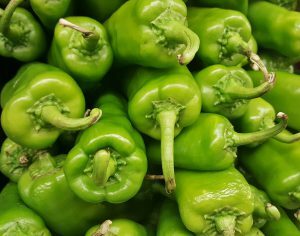 This will include posts ranging from the history of our favorite little fruits, to modern day uses; including the science and health benefits of hot peppers. 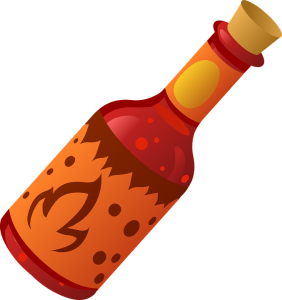 To read any or all of my Posts, Reviews, and Helpful Hints on Hot Sauces, Spicy Foods, Recipes, and related topics check out the menu categories above. Here is fun little video that gives a bit of history of the Scoville scale, which is how the heat of a chili pepper is measured. This is a list of hot sauces I currently have in my kitchen. 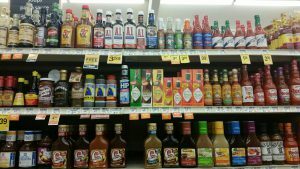 Not all of them are the best hot sauces you can buy. I have everything from $12 per bottle (or more) to six bottle variety packs for $5 from Wal-mart or Costco. I am constantly buying new ones and trying my existing ones with different dishes. That is why I built this website. I would love to share what I find that goes wonderful together, and also what doesn’t. I am posting this list so that you all can ask me to try any particular sauce with any particular food you wish. My hope is to help you to get just the right sauce for your favorite dish. Great post for those of us that like it spicy hot. One of the hot sauces that I like most I did not see in your list. Sriracha is one of my most favorite that hot sweet makes everything taste great.! Thanks for the comment! I have been really surprised more people haven’t mentioned that I have not discussed sriracha at all LoL. I have actually been purposely avoiding the topic because it is so trendy. I guess that is the opposite of what someone trying to gain readers should do, but I am weird like that. Hi, Jamie. I love to read about your hot sauces. I love to make my own hot sauce but I like to try others sometimes. You have a variety of hot sauces but I am only familiar with the Tabasco brand. I don’t like my sauce very hot. Thanks for your comment. I was very excited to read that you make your own hot sauce. You said you don’t like it too spicy, so I was curious as to what you generally use for your base? I love hot sauces, so what you’re doing is very interesting to me. Great idea! Thanks for checking out my site. Hope you keep coming back to check out all the new info! Coming from the Caribbean I can certainly identify with hot sauce. Scotch Bonnet in Jamaica and Scorpion pepper in Trinidad are by far two of the hottest peppers out there. And I remember growing up with my grand mother’s homemade hot sauce. It was tasty and very very hot. From your list I’m only really familiar with the tabasco (very mild) and the Habanero and of course, the Jalapeno. Thanks so much for your comment. I so wish I could taste some of your grandmother’s homemade hot sauce! I bet it was wonderful. I hope to be able to go the Caribbean sometime and try some tasty hot sauces! Maybe I can do an upcoming post on some Caribbean favorites. It would be great if I could find some recipes and try to make my own too! Thanks again for your comment! Hello, thanks for your comment. Even though I keep trying new and different sauces on chicken, at this point I still really think nothing beats Franks Original Hot Sauce. I don’t actually have that on my list, because I ran out recently. It has a little spice to it, but not too much and really goes great with chicken! Louisiana and Franks Red Hot are my two most favorite hot sauces. They taste pretty similar and are excellent to enhance the flavor of steamed shrimps or raw clams and oysters. I might have to try some of these hot sauces as it may agree with my taste buds also. Hi Max, thanks for the comment. I agree with your two favorites. They are great on chicken and some seafood! They don’t really mesh well with any kind of beef dish though. A good one try that isn’t really spicy, but may get your taste buds thinking about some hot sauce options for steak is the Chipotle Tabasco. It’s a good starter to the smokier side of sauces. You should give it a try if you haven’t before. You ‘ve got me hooked to your website !!! Because I am a big fan of hot sauces. If I want to impress my friends when I invite them … by showing off new hot sauces that could bring a plus to my dishes. I know where to find the info now. I keep your website in my favorite ones. Thank you and good luck !!! Hello! Thanks for your comment! I am very happy that you like my site! It makes me excited to think about you sharing new hot sauce adventures with your friends. I look forward to letting you know about new sauces and flavors that I encounter. If you need any suggestions for a particular dish just let me know. I would be happy to help.